Hosts Statewide Storm Recovery Conference with HUD Secretary Donovan to Kick Off Program. The New York Rising Community Reconstruction program will assist 102 severely damaged New York Rising Communities to develop comprehensive and innovative rebuilding plans. The plans will be driven by the needs of each community and developed by regional planning committees of community leaders, experts, and officials. Grant amounts will be based on FEMA assessed damage levels as well as applications for new infrastructure and other mitigation, and will be awarded once the community’s plan is complete and submitted to the State for approval. The communities will be eligible to share in more than $500 million of funding made available through the federal supplemental appropriation the Governor worked with Congress to obtain earlier this year. Today, experts from around the nation on topics such as economic development, resiliency, urban sustainability, environmental impact, and engineering discussed innovative strategies, solutions, and lessons learned from past disaster recovery efforts with citizens and leaders of the New York Rising Communities to launch the rebuilding process. These discussions will help to frame and inspire cutting edge solutions, projects, and ideas for community planning committees to develop in the coming months. This conference is the first step in the planning process, which will take eight months or less for each New York Rising Community. In addition, the Governor announced that the State will award at least $250 million of the State’s FEMA-funded Hazard Mitigation Grant Program (HMGP) to New York Rising Communities to implement eligible projects contained in their plans. After a Presidential disaster declaration, as in the case of Hurricane Irene, Tropical Storm Lee and Superstorm Sandy, FEMA provides HMGP funds for states to administer grant programs that support local hazard mitigation planning and long-term hazard mitigation measures to reduce the loss of life and damage to improved property from natural disasters. Eligible projects may include, among other things, infrastructure or building improvements to protect communities from future natural disasters. For more information, see http://nysandyhelp.ny.gov/content/hazard-mitigation-grant-program-hmgp-0 . The Governor announced he will appoint Jamie Rubin as the Director of the New York Rising Community Reconstruction Program. Mr. Rubin is currently Senior Advisor to HUD Secretary Shaun Donovan and New York State Director of the President’s Hurricane Sandy Recovery and Rebuilding Task Force. He was previously a Non Resident Senior Fellow with the Brookings Institution Metropolitan Policy Program, working with cities including Buffalo and Detroit to identify and implement innovative economic development strategies. Until May 2012, he was a Senior Partner with BC Partners, a global private equity fund managing over $17 billion across two current funds. He joined BCP in May 2008 to establish the firm’s first US office and subsequently built a team and directed over $1 billion of direct investment in the U.S. by BCP. Before then, Mr. Rubin was a Partner with One Equity Partners, JP Morgan’s private equity fund, where he was one of the founding partners in 2001. He graduated from Harvard College (1985) and Yale Law School (1993). Jamie Rubin said, “Communities throughout New York State have been devastated by major storm after major storm over the past two years. Today’s conference organized by Governor Cuomo will better enable localities to take the rebuilding process into their own hands based on what works best for their communities, and come back stronger, safer, and smarter. I am pleased to serve as Director of the New York Rising Community Reconstruction program and join with the Governor on helping rebuild our state." The Governor also announced the appointment of Jon Kaiman, North Hempstead Town Supervisor, as Special Advisor for Long Island Storm Recovery. Jon Kaiman has served as Supervisor of the Town of North Hempstead since 2004. As Town Supervisor, Mr. Kaiman has been responsible for implementing a number of innovative programs including the first suburban 311 Constituent-Response System that fast-tracks public complaints, speeds up service to constituents and helps optimize the workforce. Mr. Kaiman is responsible for several environmental-friendly programs including North Hempstead's Townwide School Recycling Program, S.T.O.P. (Stop Throwing Out Pollutants/Pharmaceutical Collection Event), Operation Clean Sweep, and North Hempstead’s Earth Day Program, including EcoFest. He led North Hempstead to green its vehicle fleet by purchasing hybrid and electric vehicles vehicles for the town. As Special Advisor for Long Island Storm Recovery, he will serve as the liaison for the Governor to Sandy-affected residents, businesses, and communities. A particular focus of the Special Advisor will be to coordinate state support for the New York Rising Communities on Long Island. Jon Kaiman said, "I am pleased to serve as Special Advisor for Long Island Storm Recovery and work with Governor Cuomo and our local officials in ensuring the successful implementation of New York Rising Communities on Long Island. Superstorm Sandy was one of the worst storms to ever hit our region, and we must now focus our efforts on building back stronger and smarter than ever before. Today’s conference brings together some of the brightest minds in fields relating to storm recovery and redevelopment, and the Governor’s reconstruction program includes important resources needed to construct stronger communities on Long Island. I look forward to working closely with local officials and residents of communities that were hit by the storm to rebuild and strengthen our towns and villages for the future." Web-Based Portal & Facebook Pages to Facilitate Community Planning. The Governor also announced that the State will facilitate the New York Rising Communities’ planning process by helping each community’s planning committee set up a Facebook page devoted to the process, holding webinars to support such use of technology to promote public comment and planning collaboration, and creating a portal for planning committee members to interact and comment on documents and issues throughout the planning process. Community participation and efficient use of technology in the planning process are critical elements of the New York Rising Community Reconstruction Program. Senator Joseph A. Griffo said, "Within the last two years, New Yorkers have endured the worst that Mother Nature has dished out. Between Tropical Storm Lee, Hurricane Irene, Superstorm Sandy, Winter Storm Nemo and the most recent, nameless, unrelenting rainstorms of June-July in the Mohawk Valley, we've been stretched to the limits of natural disaster recovery, relief and rebuilding. I commend the Governor for inviting HUD Secretary Donovan to participate in this conference. Our goal should be to take what we learn about the challenges to planning long-term aid and turn it into a multi-faceted strategy that'll help us face damaging natural events in the future." Memorial Day Celebrations, the Latest News & More in May 24th's Newsletter! Festivals, BBQs, Charity Events, News & More in August 10th's Newsletter! 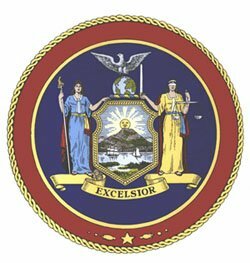 Subject: LongIsland.com - Your Name sent you Article details of "Governor Cuomo Designates 102 New York Rising Communities Eligible to Receive More Than $750 Million for Storm Reconstruction"